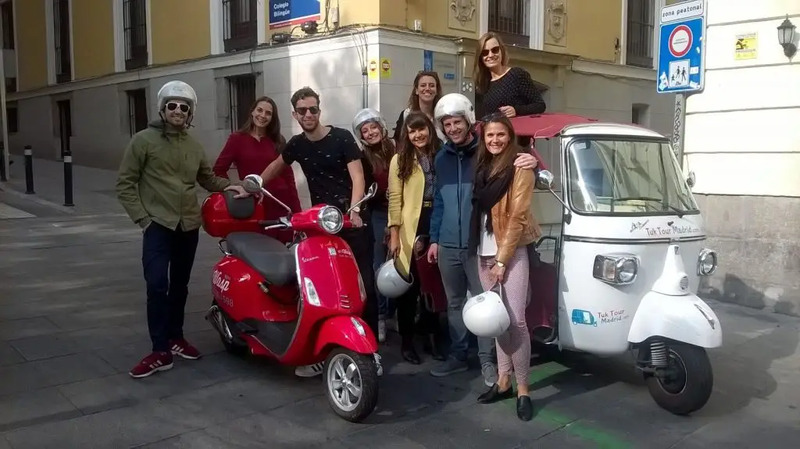 In the Beer Bike tour with Bbike enjoy Madrid with your friends while having some beers, sangría or soft drinks. 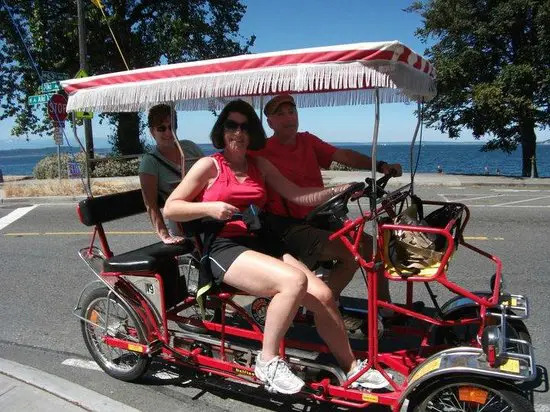 Jump in this bicycle for up to 4 passengers and pedal at the music’s rhythm while you are the center of attention. 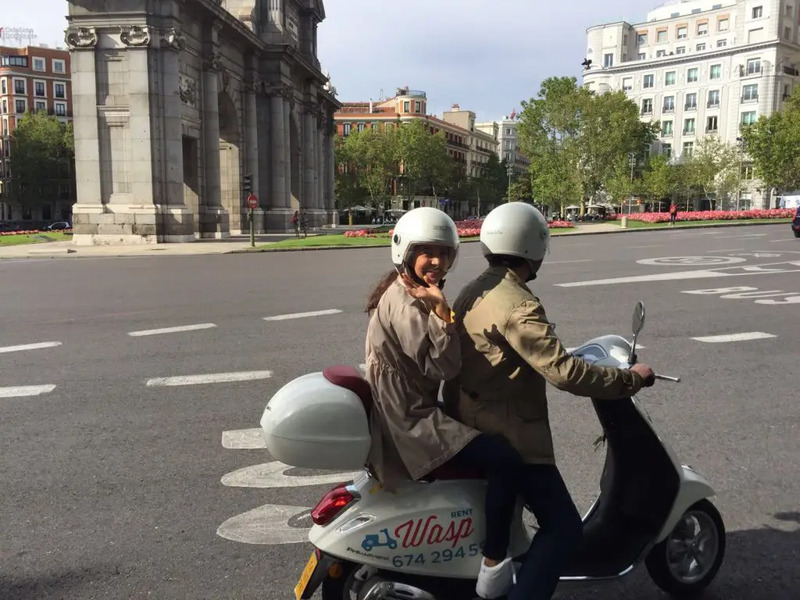 Let our driver cheer you up and make this tour THE experience of your stay in Madrid. * Need more drinks? You can have more, please contact us for more information. The price is per vehicle not per person. 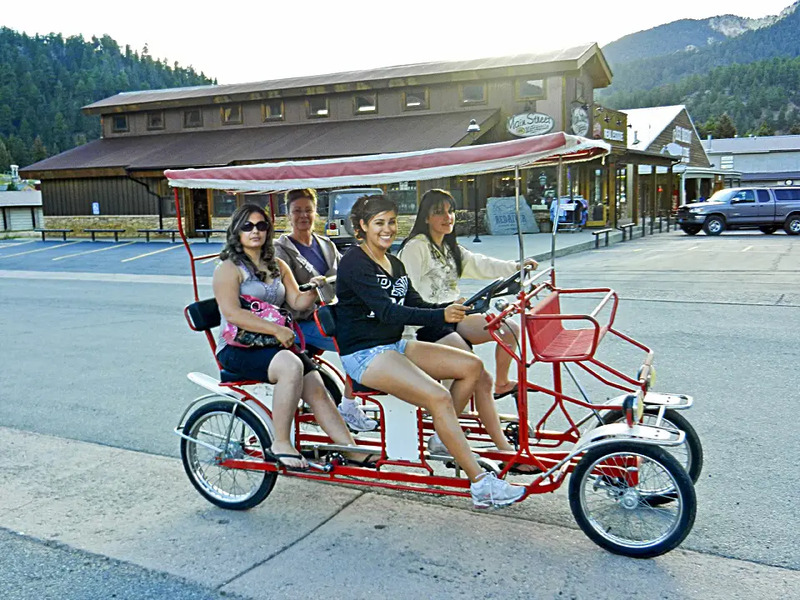 If you are more than 4 people you can make another reservation, we have 5 vehicles and space for up to 20 people. 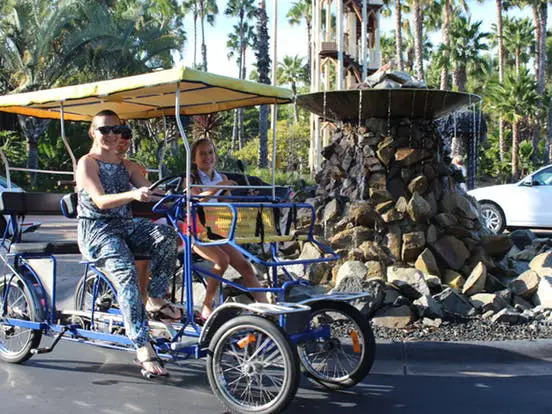 When you book several vehicles for your group they will all do the tour at the same time and will stay close for a better fun. Beat the starting point at "O'clock". The vehicle has a roof and we provide ponchos in case of rain. In case of rain we will continue with the activity! To effect any changes or cancellations when raining you will have to go to the starting point and confirm with the driver, only if it rains a lot at the beginning of the tour we can cancel the activity. Tours are run strictly on time. Any delay will be deducted from the total duration of the tour. If after 20 minutes from the start time of the activity you are not present and we are unable to contact you, we will cancel the tour and no refund will be made. Any cancellation has to be made at least 48 hours before the start time of the tour, after that no refund will be made.